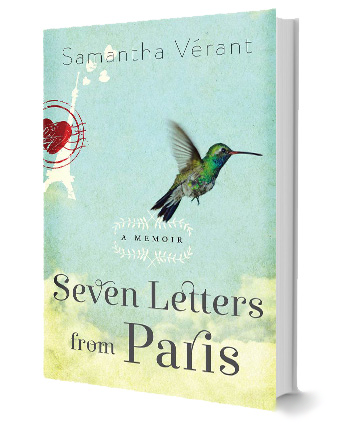 Samantha Verant: Seven Letters from Paris- Cover Reveal and ARC tour! Well, here it is. 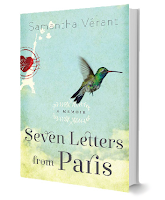 The cover for the US edition of SEVEN LETTERS FROM PARIS! And it's beautiful, gorgeous, and OH MY GAHHHHH! The hummingbird holds a special place in my heart and is symbolic in the story. Oh my stars! I'm doing the happy dance. (But not to Pharrel Williams. They seriously play that song way too much in France). Please help me spread the word! Use the social links buttons (Twitter, G+, and Facebook) in the comment form. And don't forget to add SEVEN LETTERS FROM PARIS to your Goodreads! (This makes me so happy I may just dance to 'Happy'). Thank you so much! 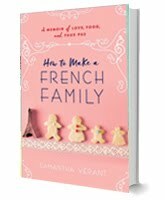 I can't believe I'll have a real book in my hands soon. This has been one looooooong journey!